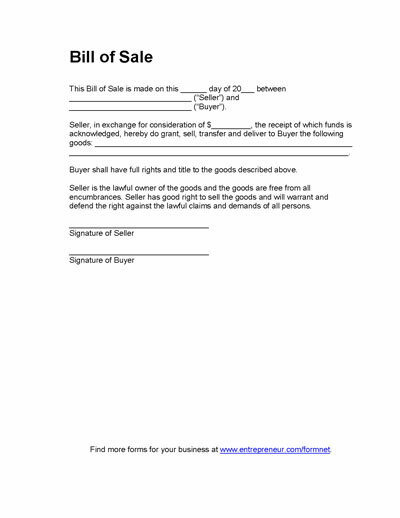 This Blank Bill of Sale is an alternate form to our Basic Bill of Sale that can be used to document the sale of an expensive item then saved as a receipt of sale. This is a good basic form if you are selling an item on craigslist or between two acquaintances and just want to document the sale. 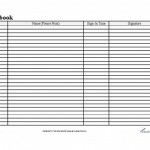 A bill of sales one common type of Legal Form used for handling transactions between individuals.The bill of sale is a legal instrument of simple documentation. 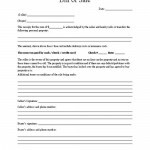 This form should outline the conditions of a sale of goods or merchandise transacted between two people. 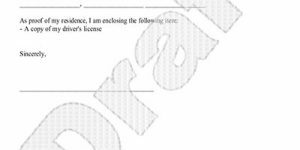 The most common use of this form is for the sale of a vehicle such as a car or motorcycle. 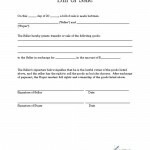 The bill of sale provides an element of protection for the seller, in that an item selling in “as is” condition is documented.